Thai Son Development and Investment JSC, a business under the Defense Ministry, was found to have falsified bank statements to win construction contracts and BOT transport projects before transferring them to other contractors. The Government Inspectorate released its findings on the firm’s compliance with regulations for various investment and construction projects. 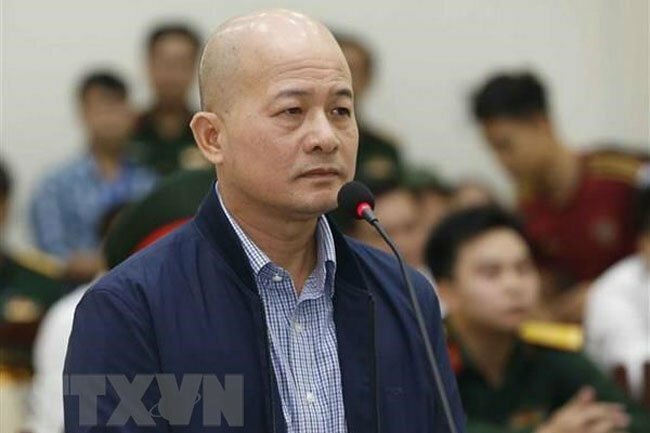 The company was once led by former senior lieutenant colonel Dinh Ngoc He, alias Bald Ut, as its chairman and general director, who has now been jailed. According to the findings, Thai Son Corporation spent VND10.2 billion, or 51% of its charter capital, on the establishment of Thai Son JSC in August 2009. At the time, Dinh Ngoc He, then-deputy general director, and Cung Dinh Minh, then-general director, both of Thai Son Corp., were authorized to respectively represent 21% and 30% of the charter capital in Thai Son JSC. This move was made without knowledge or formal approval of the then defense minister. In 2012 and 2016, the corporation transferred a combined 51% stake in the subsidiary to a female shareholder, Le Thi Thao, at a total cost of VND31.6 billion. The inspectorate concluded that the stake transfer was against prevailing regulations and suggested a lack of transparency, leading to a risk of State capital losses. The inspectorate also found many irregularities in the financial capacity of Thai Son JSC. Financial reports since its establishment until 2017 were used to declare annual tax payments to tax agencies. All the financial reports were sealed and signed by auditing firms. They were found in the company’s loan applications with the Bank for Investment and Development of Vietnam (BIDV) and its applications for establishing partnerships with investors in transport infrastructure projects, as well as its bidding applications. However, the reports had not yet been audited. “Some consulting units confirmed that they did not audit any financial reports of Thai Son Co.,” said the inspectorate. Compared with its reports submitted for annual tax declarations, the company’s financial performance was very poor, according to the inspectorate. Its return on equity rates were constantly reported as negative. The company incurred losses of more than VND4.2 billion, VND5.9 billion and VND628 million in 2015, 2016 and 2017, respectively. Despite joining many major BOT transport projects, Thai Son had a limited capacity in terms of machinery, equipment, manpower and experience. As of 2017, its fixed assets with supporting documentation only included an oil tank and 10 to 40 four- to- seven-seater cars. The company had neither construction machinery and equipment, nor technical staff. Among its bidding applications, the company had claimed to have served as a contractor for some projects. Even though the name of the company was on the applications, it was not directly involved in the execution of any bidding packages and projects. Upon its selection in the bidding rounds, the company transferred the rights to other companies to execute the packages for BOT and BT projects, including the New Viet Tri Bridge and a National Highway 20 section, as well as some construction packages for Pleiku Airport in Gia Lai Province and Cam Ranh International Airport in Khanh Hoa Province. To become an investor in a consortium in charge of building Viet Tri Bridge and a National Highway 20 section, Thai Son JSC received special treatment from the Ministry of Transport. The inspectorate said that the ministry had reviewed and approved the results of investor selection rounds, which ran counter to the regulations on owners’ equity. The ministry had also made an inaccurate assessment of the company’s financial capacity, and consequently chose it as the investor for these projects. Although the company had suggested its own toll fees, in violation of prevailing regulations, it still got the go-ahead from the ministry. The inspectorate found that the company had made inaccurate statements, which resulted in over VND135 billion in lost revenue, and had shown signs of tax evasion, causing an estimated loss of VND31 billion for the State budget. These issues are serious violations of regulations on bidding, taxation and construction management and investment, according to the watchdog. Therefore, the watchdog proposed Prime Minister Nguyen Xuan Phuc instruct the Ministries of Transport and Defense to determine the liability of the concerned individuals and units under their authority. The inspectorate also submitted reports to the Ministry of Public Security to aid its investigation of four cases of violations at Thai Son JSC: falsifying legal documentation, making improper bidding transfers, violating regulations on bank loans and evading taxes and attempting insurance fraud.